Polyurethane (PU) foam containing phase change materials is a kind of new heat-insulating material which can store and release heat energy. 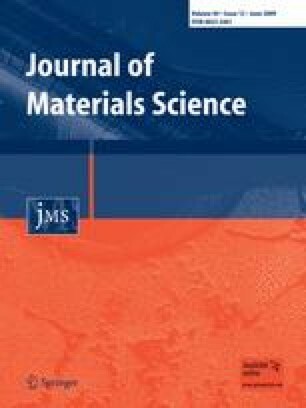 The microencapsulated n-octadecane (MicroPCMs) with a styrene (St)–divinybenzene (DVB) co-polymer shell was synthesized by means of suspension-like polymerization. The surface morphology, diameter, enthalpy, and thermal stability were investigated by using scanning electronic microscope (SEM), differential scanning calorimeter (DSC), and TGA. The average diameter of the microcapsules is about 80 μm. The enthalpy of the microcapsule is about 126 J/g. PU foams containing MicroPCMs were fabricated by adding the MicroPCMs in reactants. MicroPCMs are evenly inserted inside the foam and the enthalpy of the foam rises with the increase of the content of microcapsules. The enthalpy is about 24 J/g for the foam containing 26.8 wt% MicroPCMs. The authors are thankful to the National Natural Science Found of China (No. 50573058) and Specialized Research Found for the Doctoral Program of Higher Education (No.20050058004) for the financial supports.